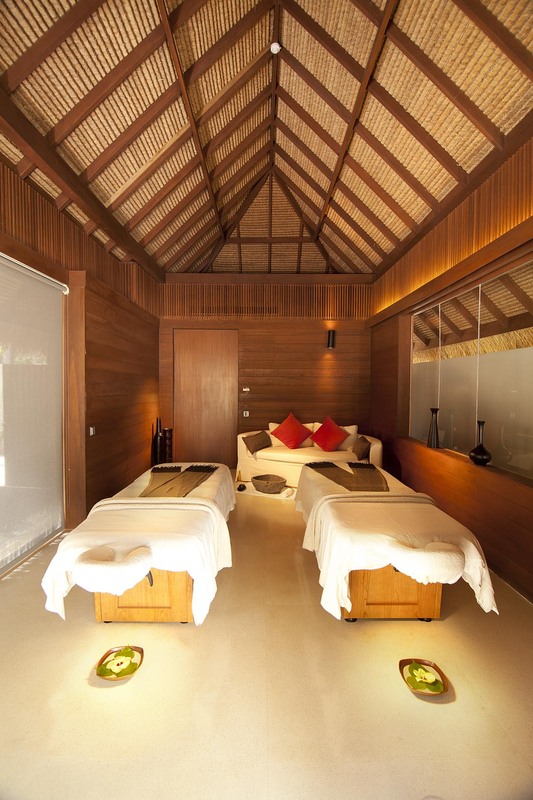 The resort's Park and Water Villas are decked with balau floorboards that help dissipate heat, making it cool to the touch in hot weather. 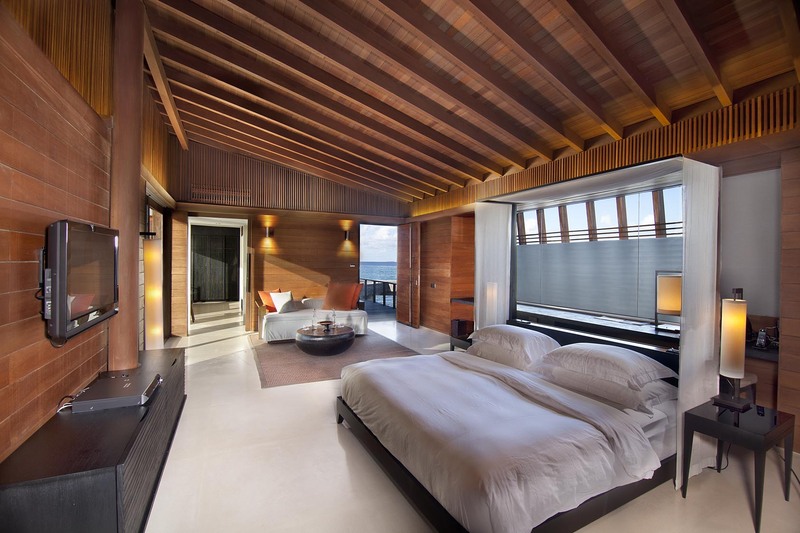 Both types of villas feature kapur wall panelling and slats, as well as large balau-framed picture windows to bring the outdoors in. 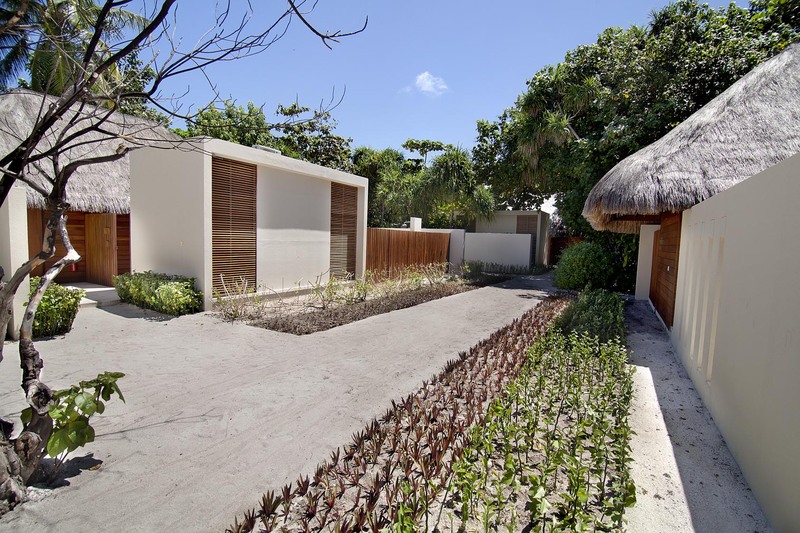 The roofs are in kempas shingles. 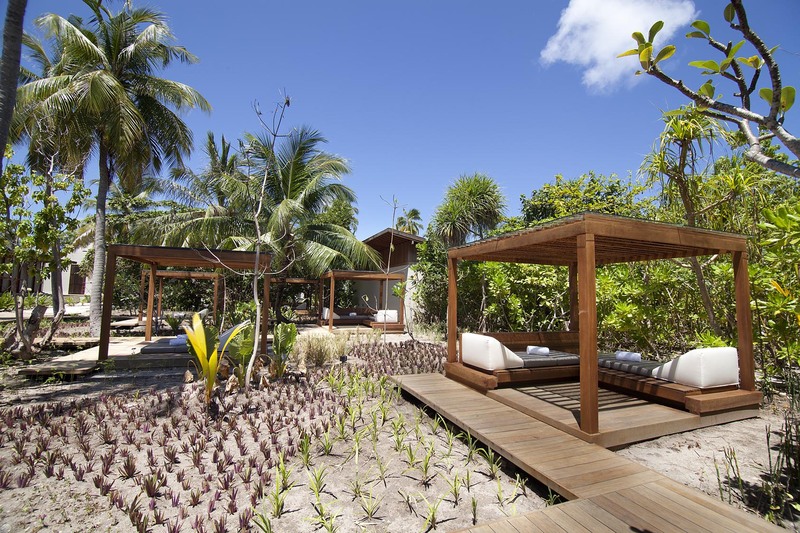 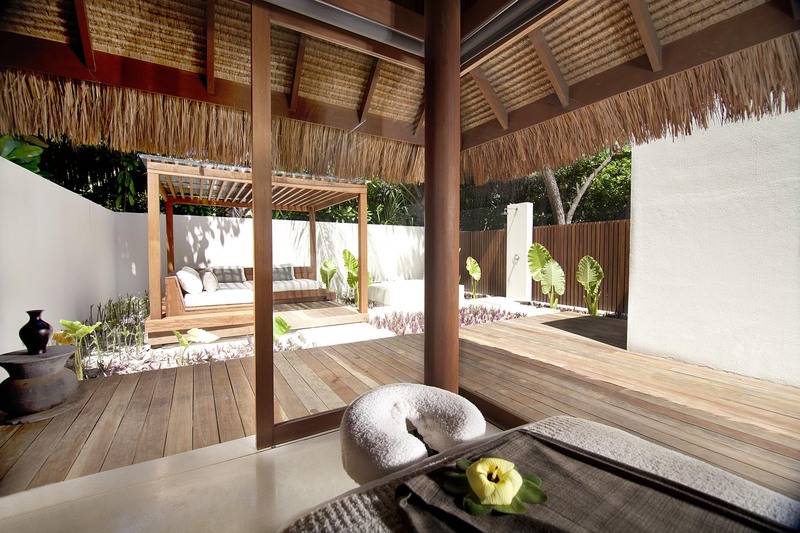 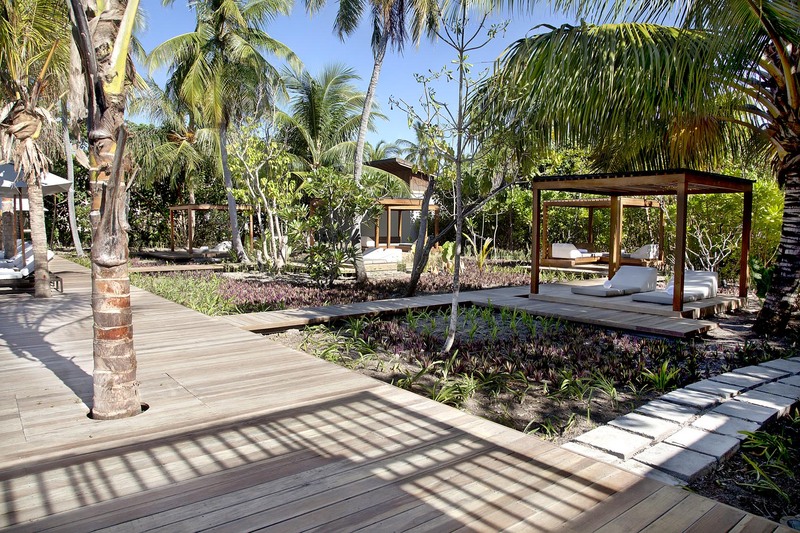 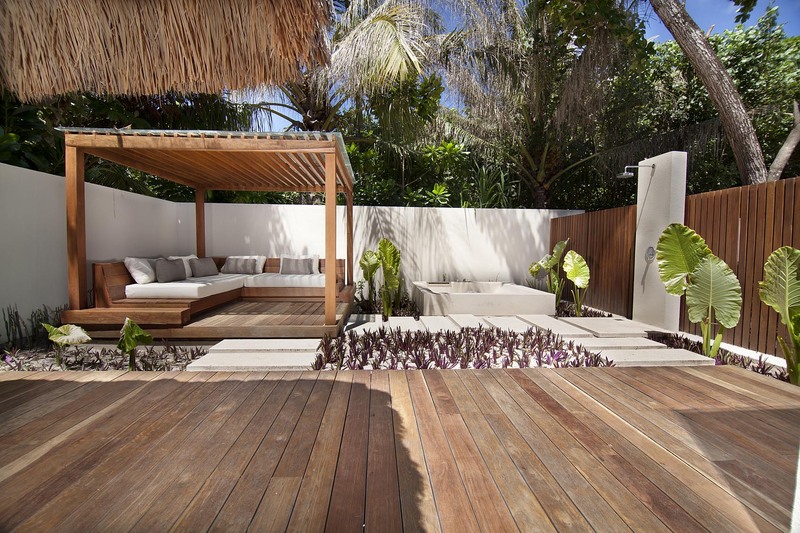 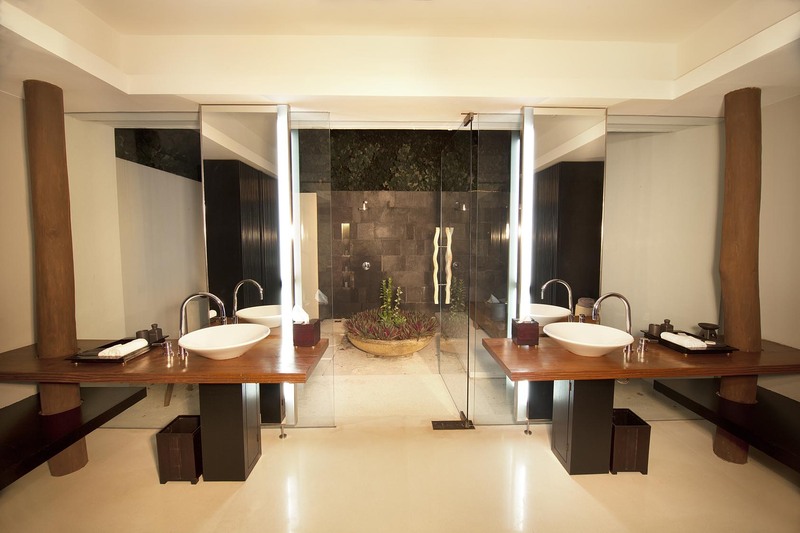 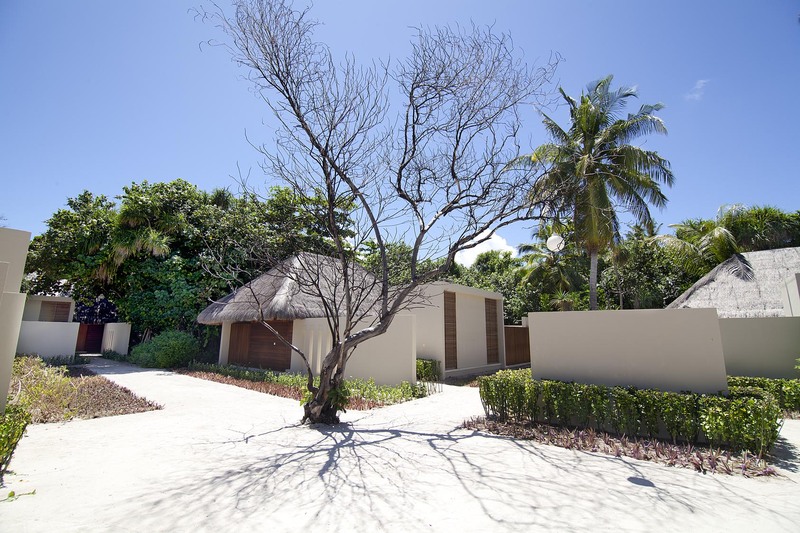 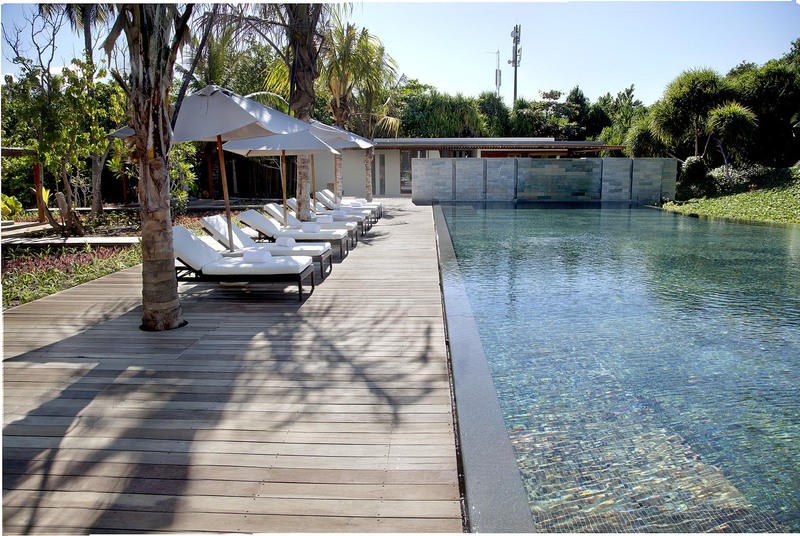 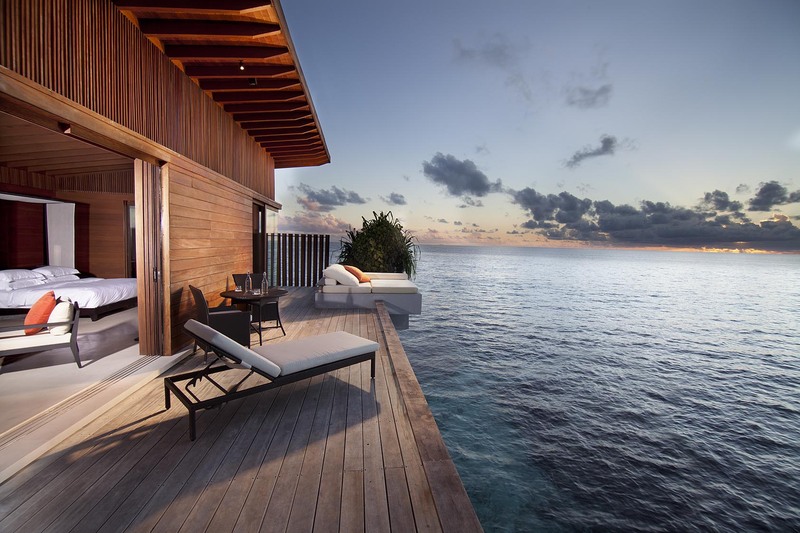 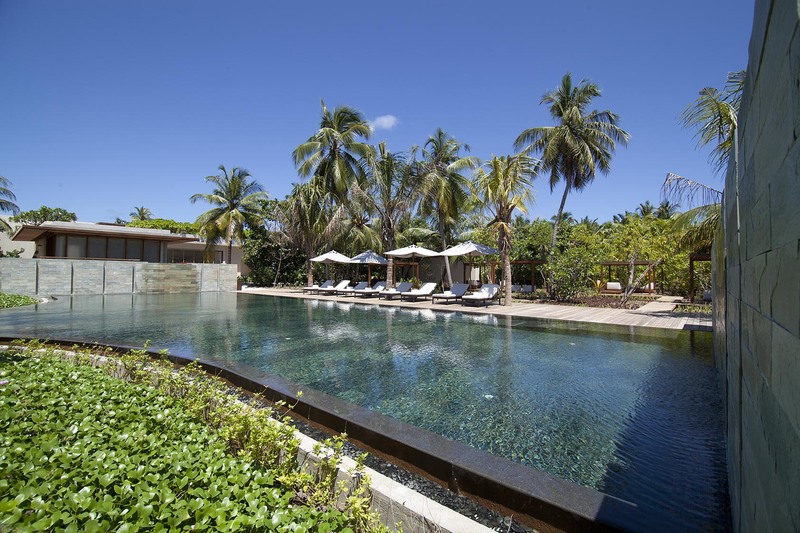 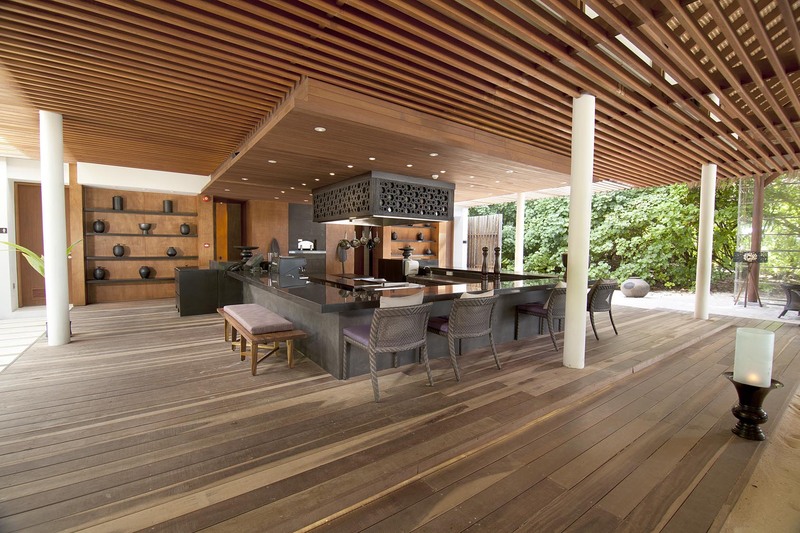 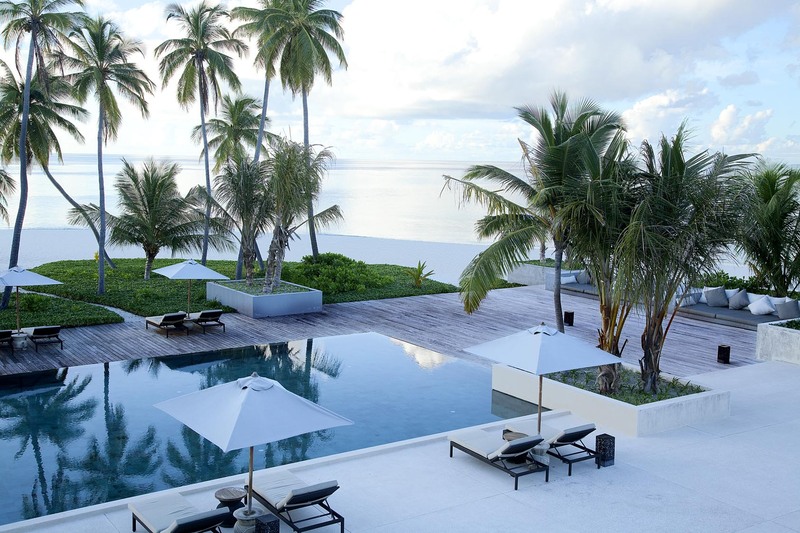 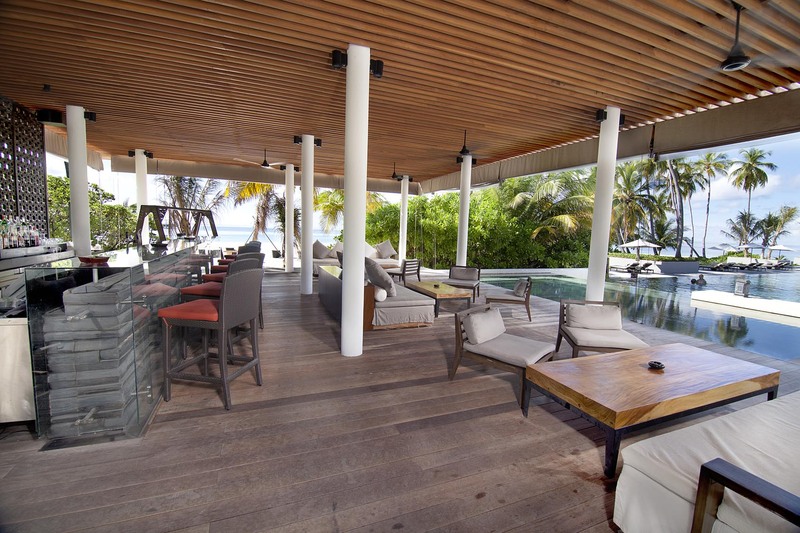 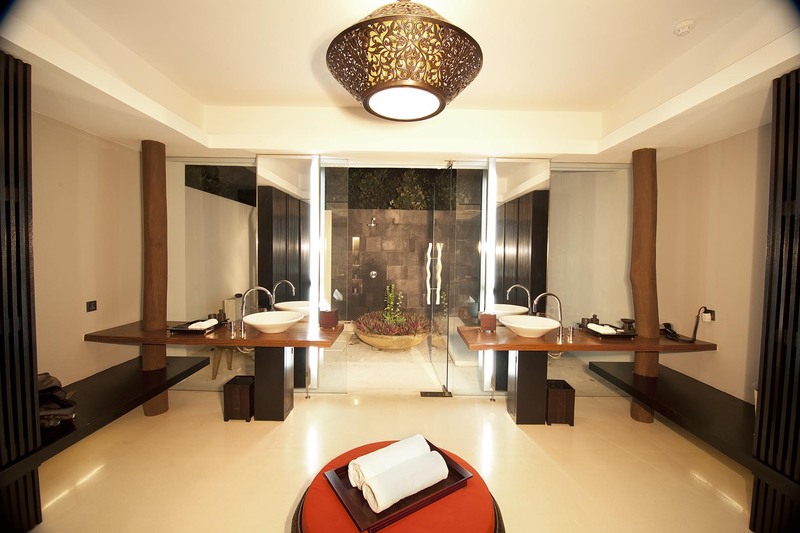 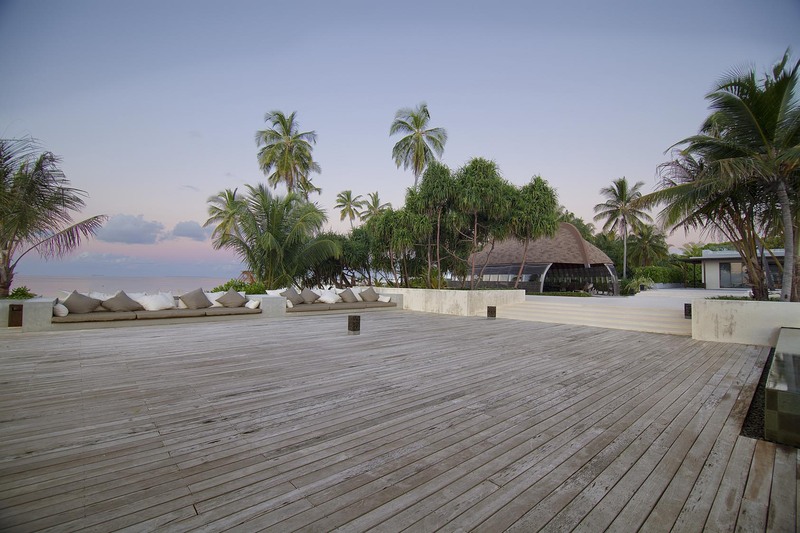 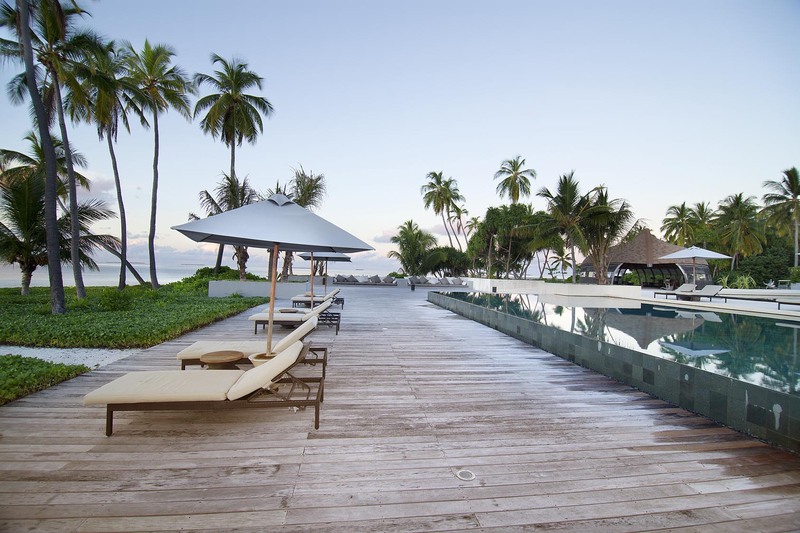 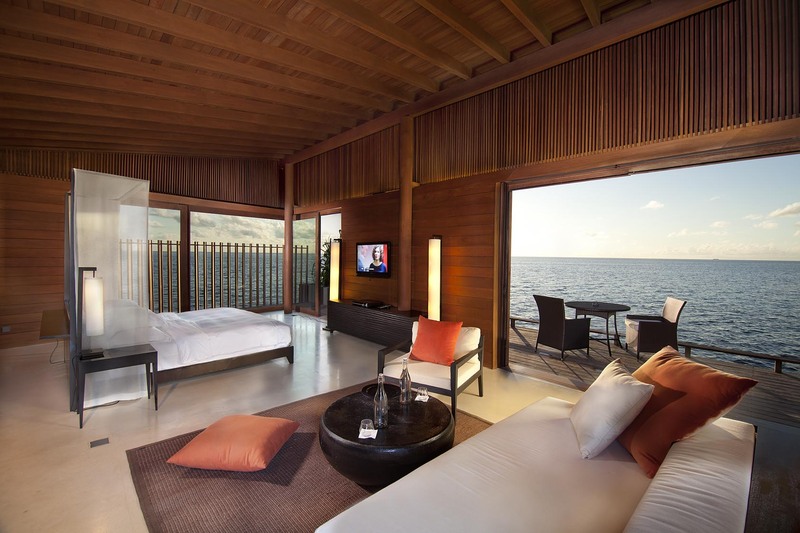 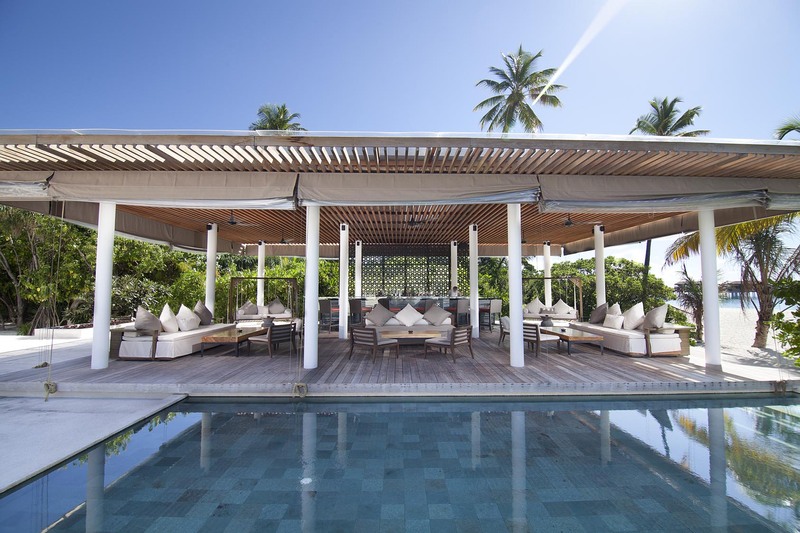 One of the Park Villas – This cleaned-lined, single-pitched roof and ultra-modern villa with large windows and vertical timber screens characterize the design of the luxurious Park Hyatt Hadahaa. 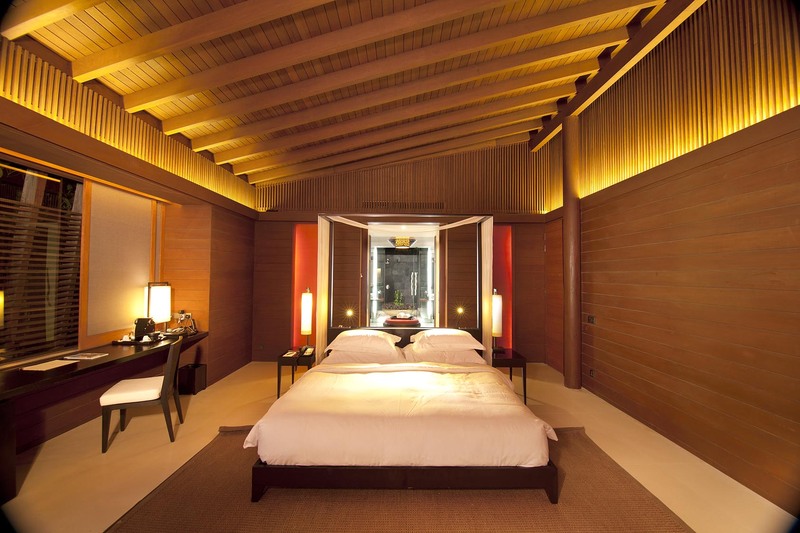 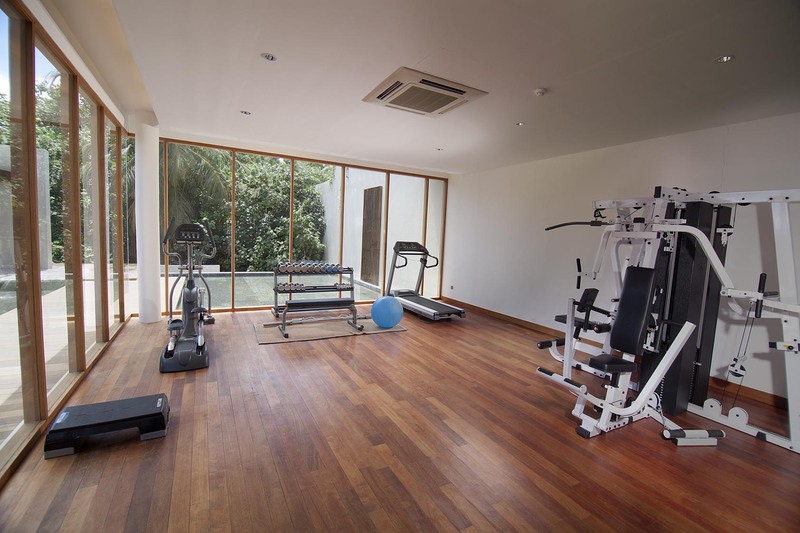 The warm interiors of a Park Villa, featuring kapur wall panelling and slats. 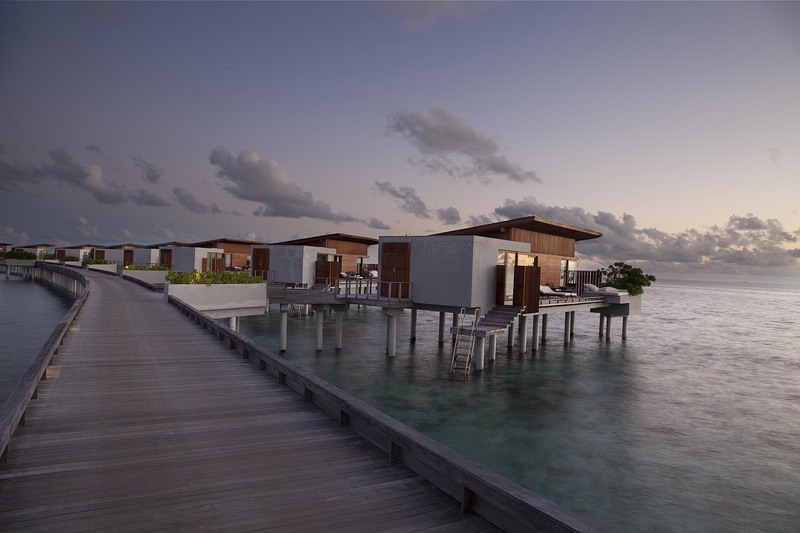 The Water Villas have spacious interiors and feature balau posts connected to structural beams that support the single-pitched roof. 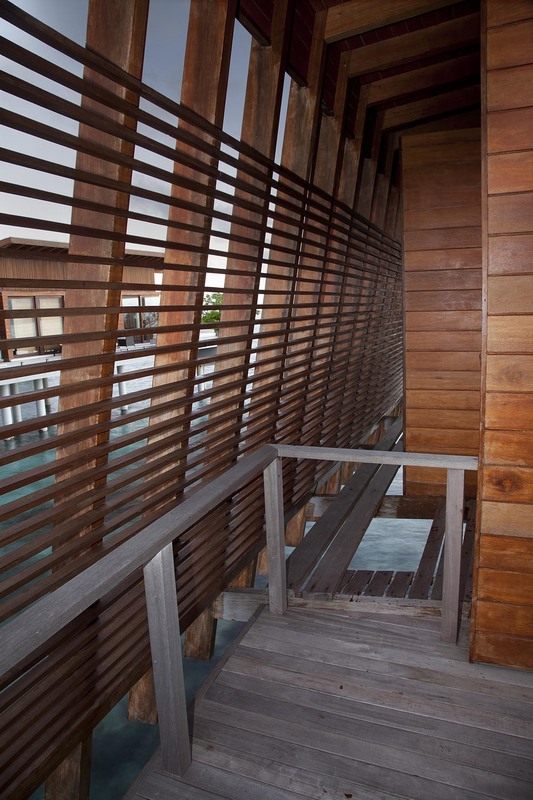 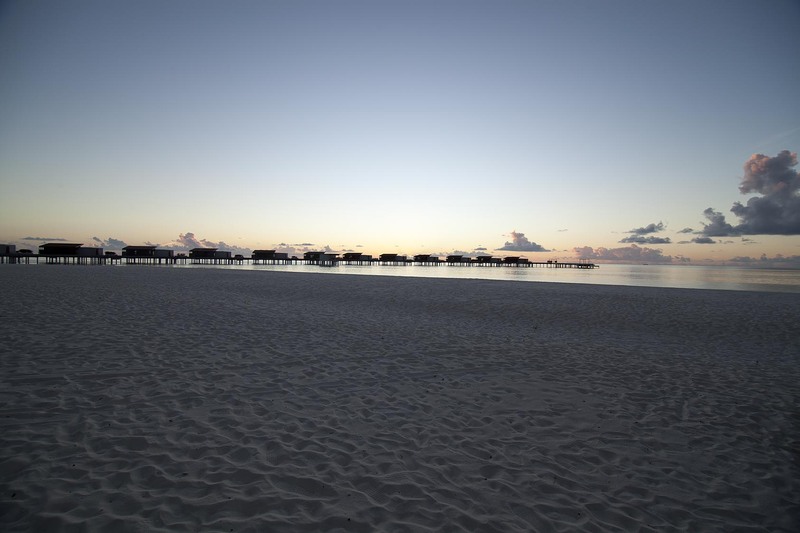 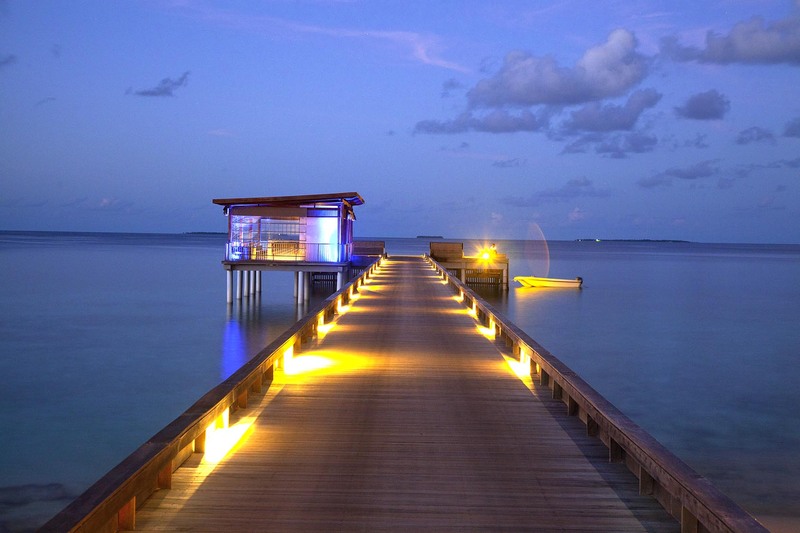 The Water Villas have balau posts connected to structural beams that support the single-pitched roof. 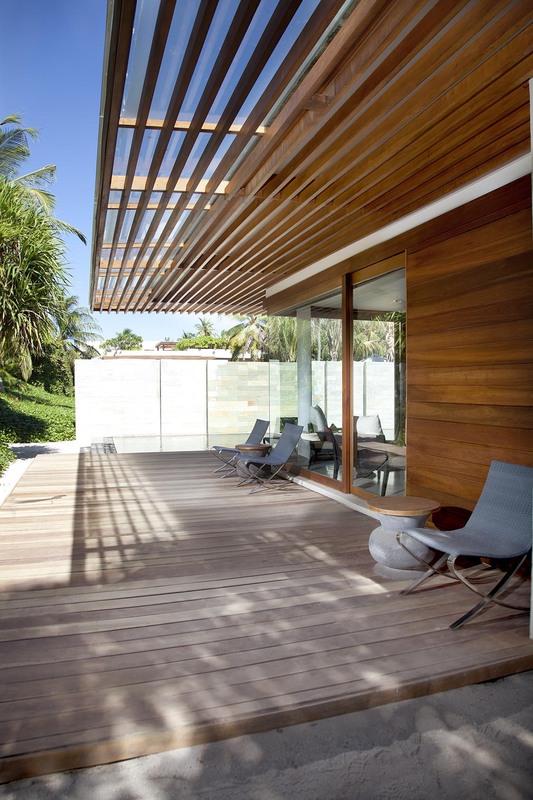 Coupled with perpendicularly placed slim timber slats, this design detail provides a degree of privacy without compromising on the natural flow of the sea breeze and amazing sea views. 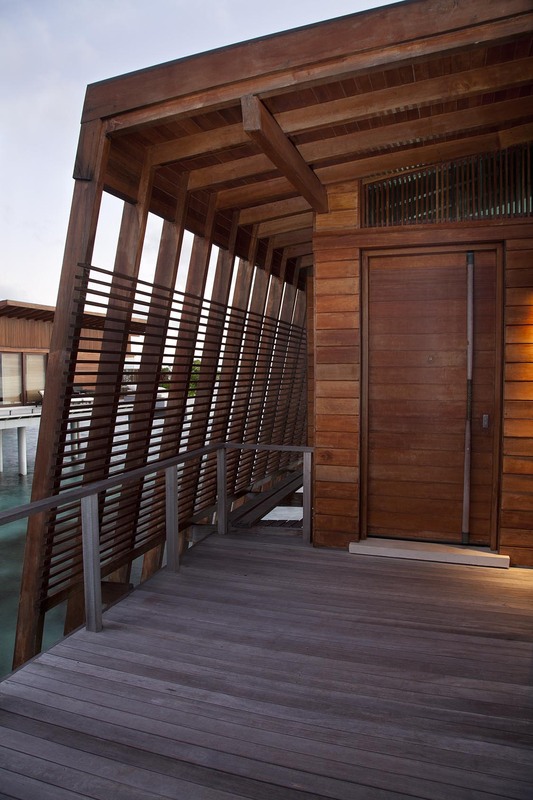 The resort's Park and Water Villas are decked with balau floorboards that help dissipate heat, making it cool to the touch in hot weather. 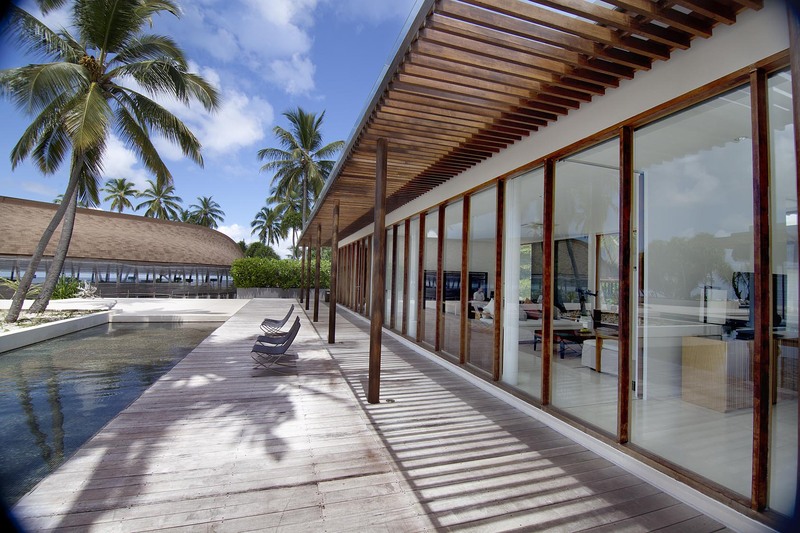 Both types of villas feature kapur wall panelling and slats, as well as large balau-framed picture windows to bring the outdoors in. 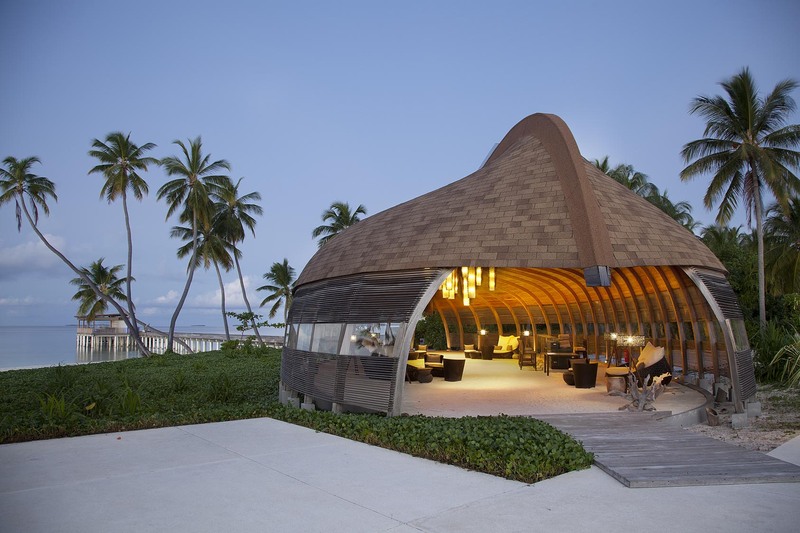 The roofs are in kempas shingles. 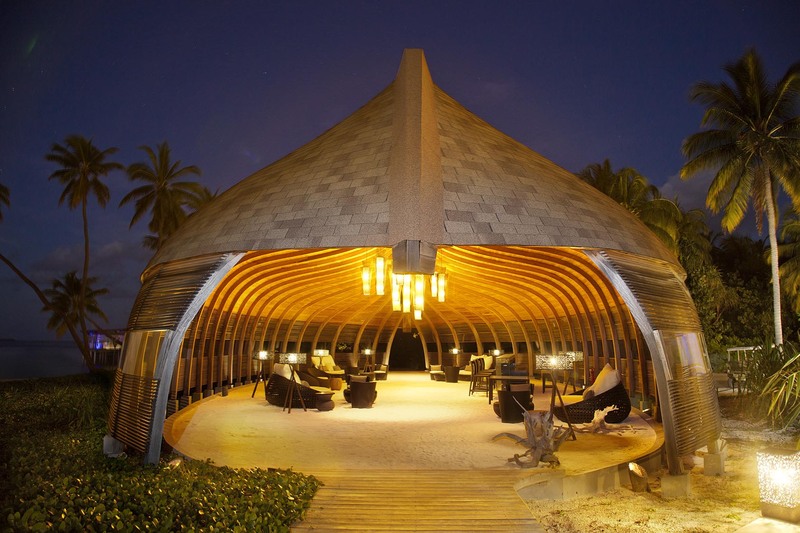 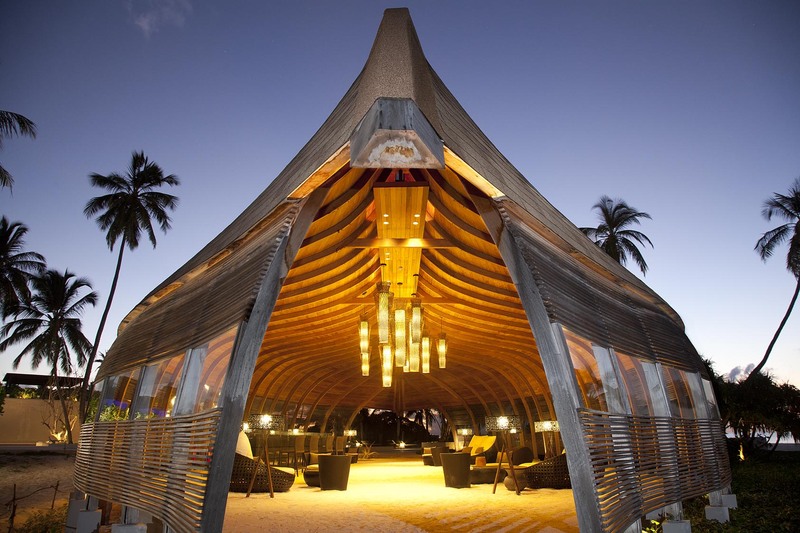 Conceptualised as an enormous upturned dhoni, a traditional Maldivian fishing boat, the cathedral-like interior is formed by curved ribs of laminated Merbau and Balau. 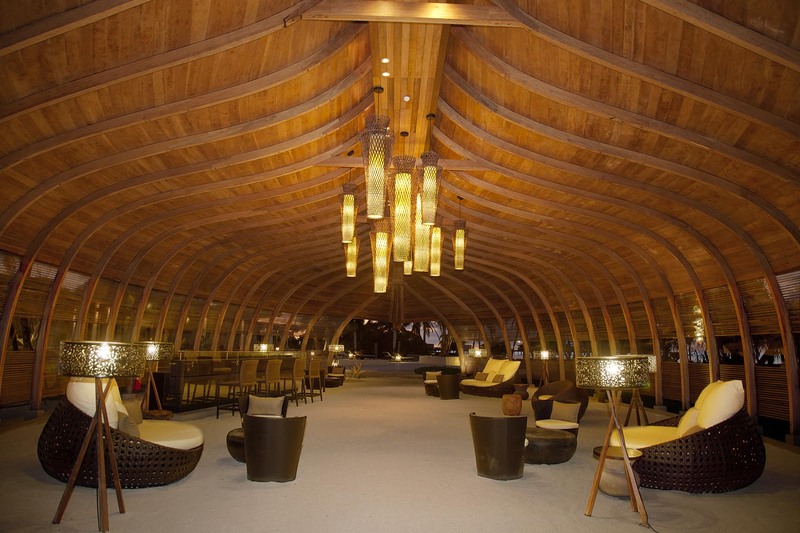 Anchored to the ground on concrete stumps, these timber columns merge with the roof trusses to form a Glulam curved ridge beam or the 'hull'. 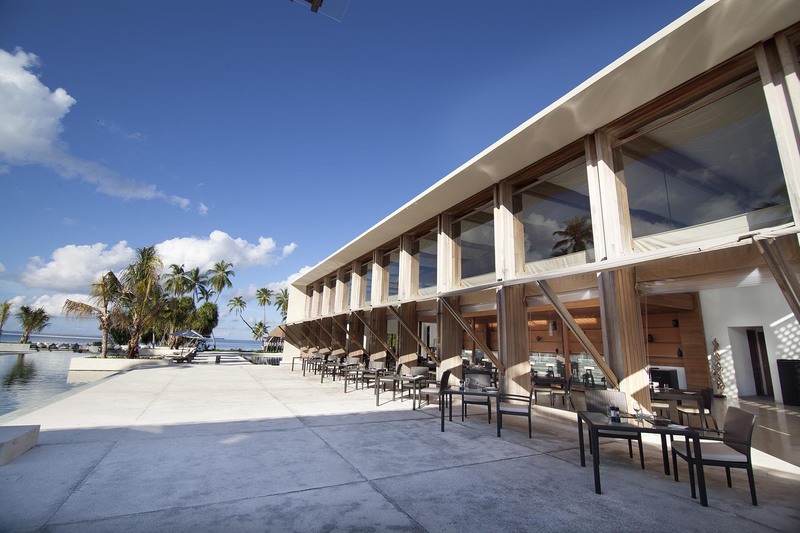 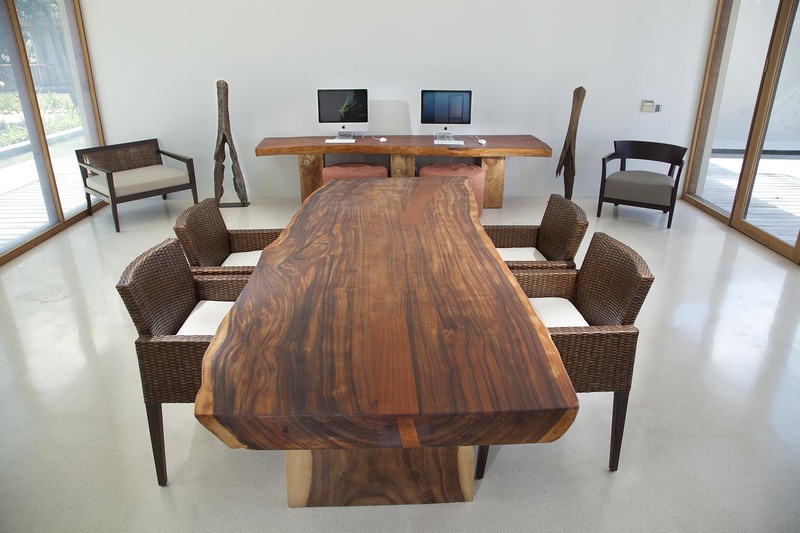 The building was handcrafted by craftsmen in a dhoni workshop in the Haa Atoll and then shipped and assembled in Hadahaa. 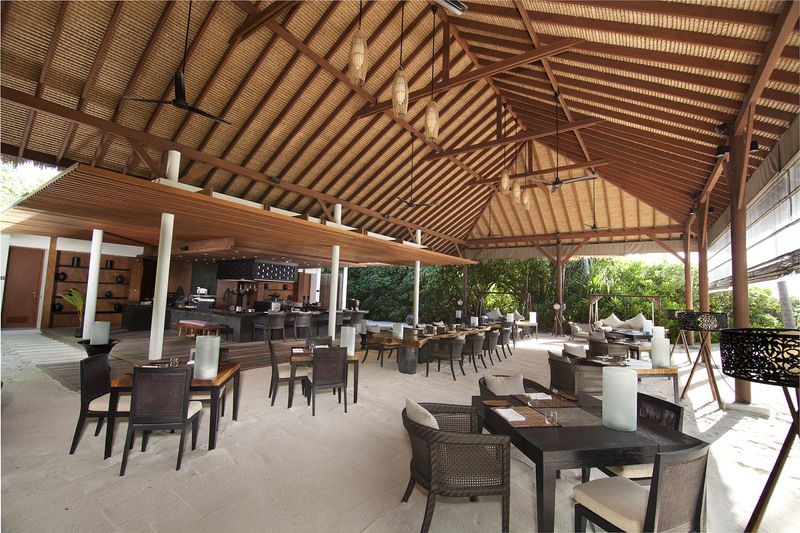 The warm and comfortable interior has the white sandy beach as its floor, and is furnished with stylish lighting and furnishings. 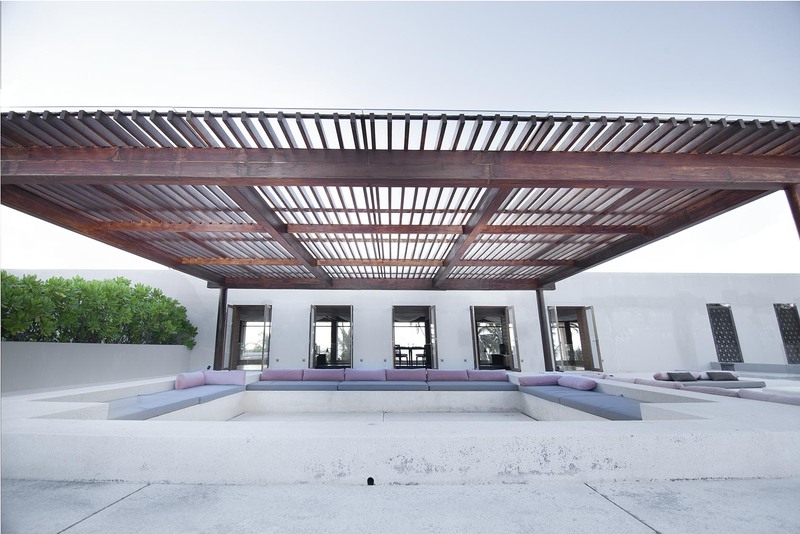 Public spaces like the Batutta Restaurant and a waiting area next to a spa pavilion have all been designed with flat roofs. 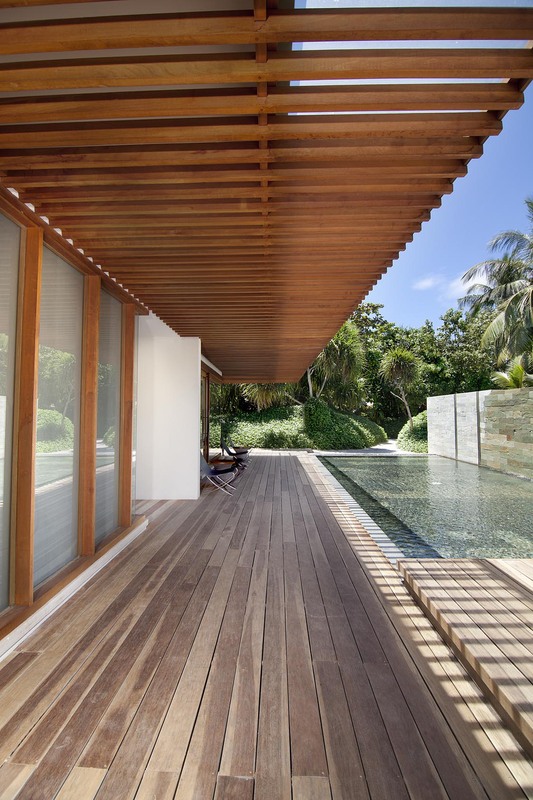 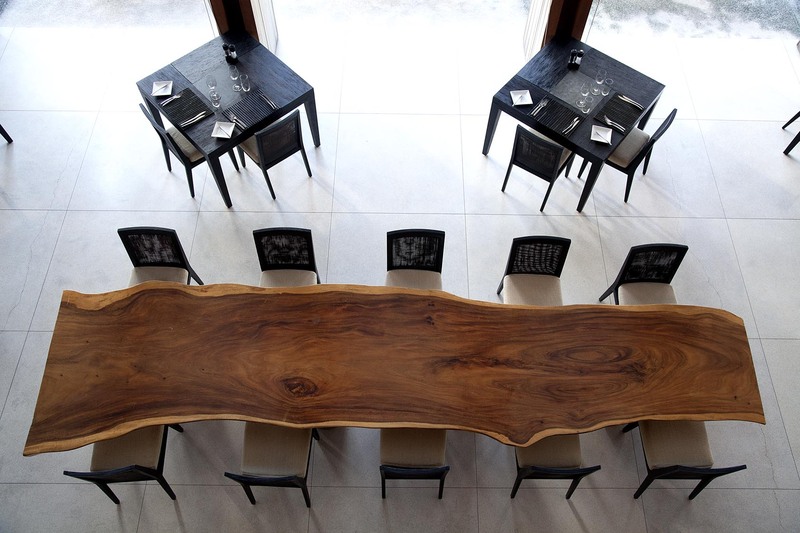 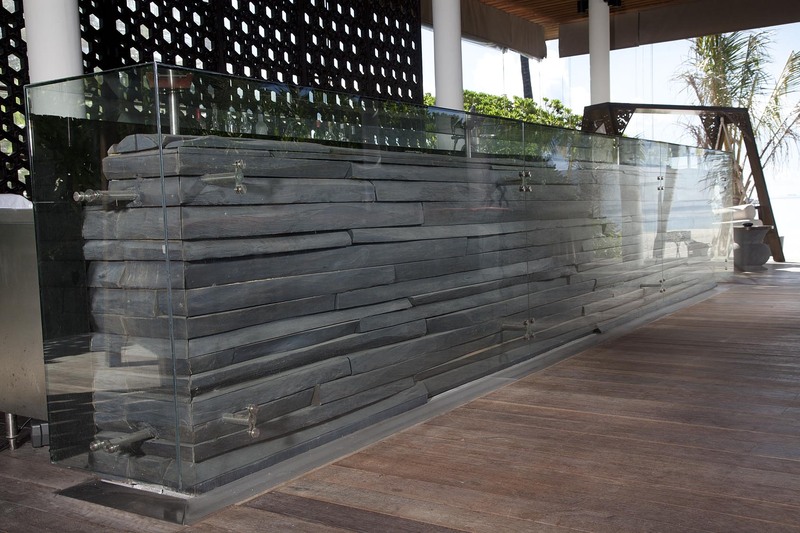 The clean lines, expressive construction details, and minimalist trimmings together with the generous use of timber, provide a perfect backdrop to highlight the understated luxury theme of the Park Hyatt Hadahaa. 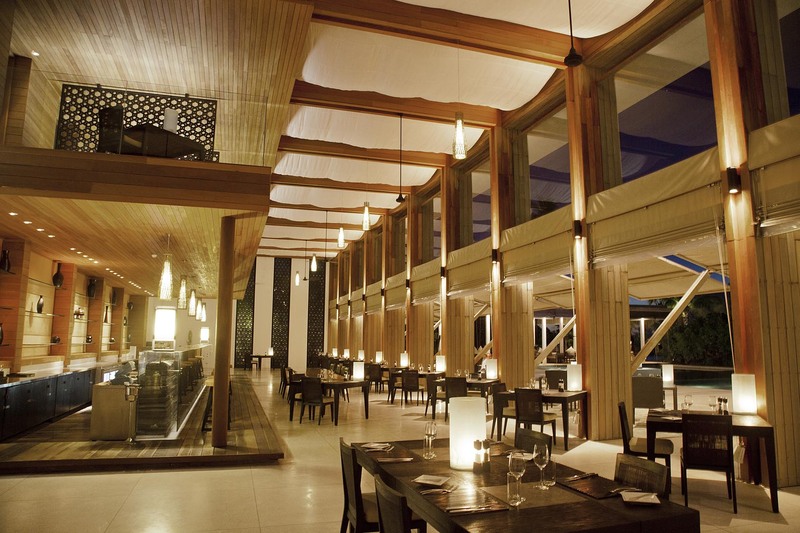 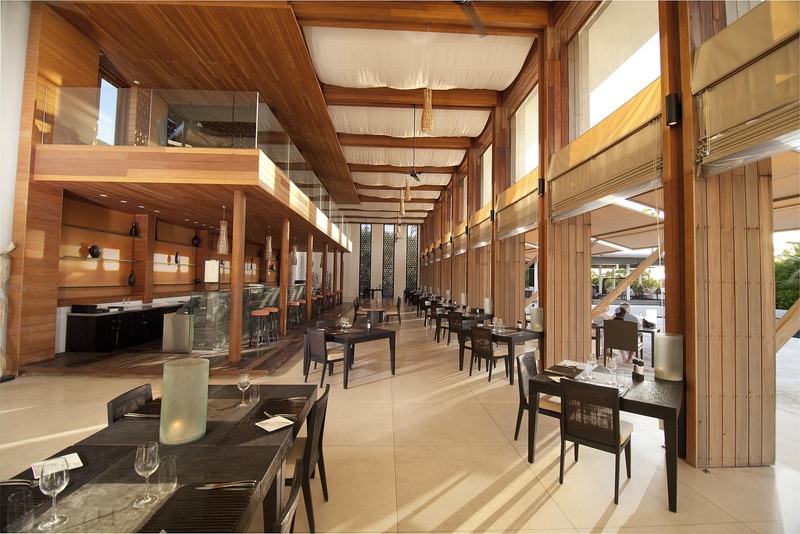 Upon entering the Batutta Restaurant, one's vision is drawn to the two-tier ceiling. 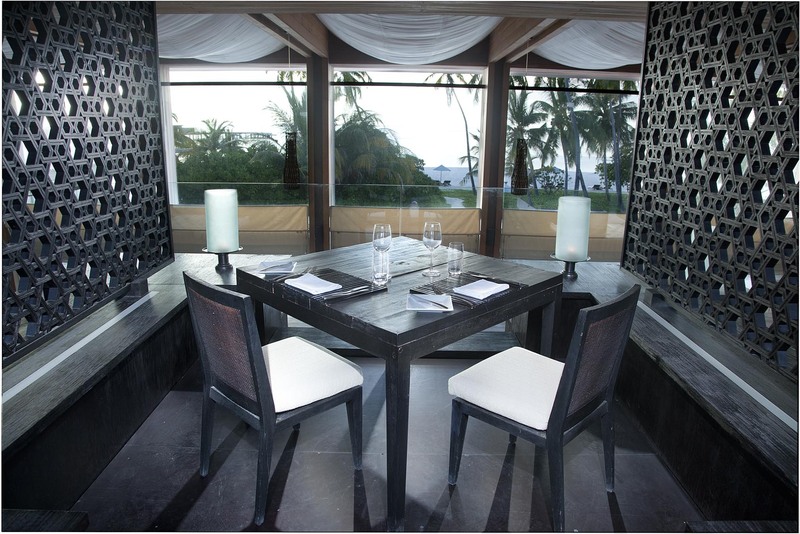 The solid pieces of kapur strips directly above the black granite service area are dotted with downlights, and beautifully highlight the black latticed decorative timber encasement, a clever element to hide the extractor fan. 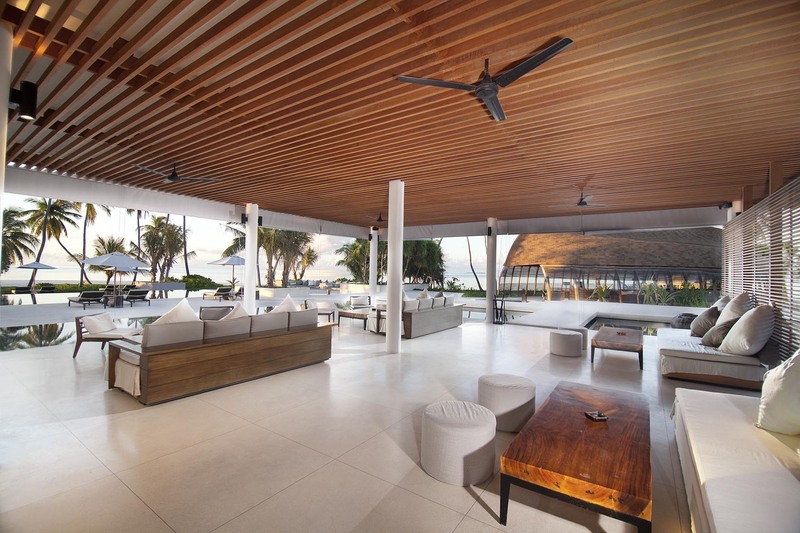 Other parts of the ceiling are kapur timber members of identical dimensions, fixed parallel to one another and spaced several inches apart to facilitate ventilation. 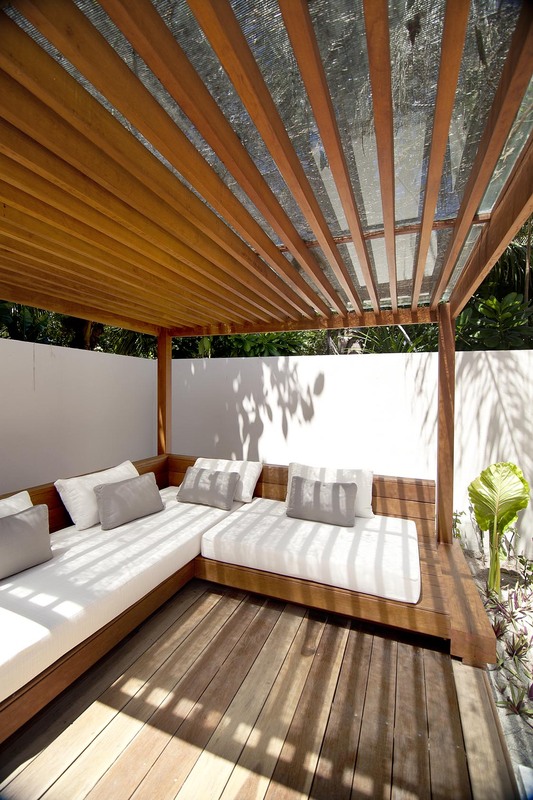 This seems to provide the ceiling space with a visual 'breather' to an otherwise enclosed design.